In the last 10 years, the cultural landscape of chess has changed dramatically. Formerly perceived as a sport the Europeans and Americans dominated, chess has seen forays into the top level by far-flung countries in Latin America, Africa and of course Asia. The latter region has experienced the fastest and most comprehensive growth producing several World Champions and young Grandmasters. If we take a look at China and India in particular, we will find the greatest success. What accounts for this success? Is it sheer mass and inertia? Is it due to the long history of chess variants in the region? Is it do to sponsorship? Perhaps it is a combination of all. With a nation of 1.3 billion inhabitants, China has the largest talent pool in the planet. Over the years, they have shown steady progress with the women asserting themselves early and supplanting Russia as the dominant nation. Xie Jun's victory in 1991 begin a series of crowns succeeding by Zhu Chen in 2001, Xie Jun again and finally Xu Yuhua. 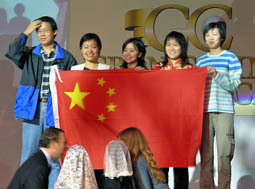 The Chinese women have also have won medals in nine straight Olympiad tournaments including four in a row (from 1998-2004). The men won the silver in the 2006 Olympiad. Liu Wenzhe writes about the "Chinese School of Chess" and gives some insight on the training methods of China. However, that alone is no substitute for raw talent. One may argue that few xianqi players have switched over to professional chess, but the culture of gamesmanship can help the popularity of all board sports. It is common to see xianqi played on the streets of Beijing. In India, the impetus have been for an entirely different reason. India is certainly one of the civilizations mentioned when discussing the origin of chess. However, chataranga had morphed into the international version we play and Sultan Khan was the first noted Indian player. When Viswanathan Anand burst onto the scene, he was an unassuming lad from Madras (now Chennai) who shockingly won the 1987 World Junior Championship. He was noted by his lightening play which meant he used little time to crush opponents. Since then he has risen to the elite levels of play and is the reigning World Champion. His persona has motivated has created a huge surge of interest in India where chess is now second to cricket as the national sport. Many of the top Indian players have noted Anand as being the one that either has served as a source of motivation or as one to have provided direct support. These two emerging chess powers have helped to serve as a catalyst throughout the region as federations such as Vietnam and the Philippines produced young world-class talent. 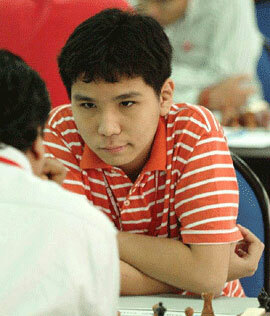 Vietnam has produced one of the youngest Grandmasters in history in Nguyen Ngoc Truong Son (GM at 14 years 10 months) and the Philippines has Wesley So (14 years and 1 month). Both are their nation's #1 players. There is not a lot of mention of him in international media due to the heavy emphasis on European talents such as Magnus Carlsen and other Asian talents such and China's Hou Yifan and Parimarjan Negi of India. Take a look China and India since the first article in 2001. Below are list for the players over 2500 and 25-under. If one looks at the chart there are some interesting patterns. Both China and India have produced a surge of Grandmasters within a short time period. 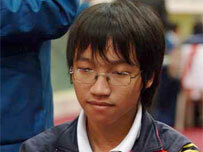 Ni Hua was China's 14th GM in 2003 and Wen Yang became the nation's 23rd this year. Of course Hou Yifan was merely 12-years old and 2298 two years ago. She is now a World Championship contender at 14 and knocking at 2600. India has produced a second wave of talent behind GMs Pentala Harikrishna and Surya Ganguly. Parimarjan Negi, Abhijeet Gupta (World Junior Champion), Arun Prasad and Geetha Gopal are up-and-coming stars and 17-year old IM Dronavali Harika (Girls' World Junior Champion) has a bright future. 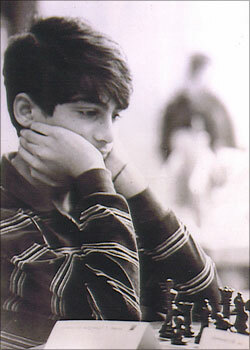 Anand has created a chess culture that may make India one of the world's models for chess development. Given the wave passing over these two powers, other regional federations have joined into the euphoria. Even smaller federations such as Singapore and Malaysia have begun to gain momentum. Indonesia is probably one of the most established nations is southeast Asia and Singapore has improved measurably with Chinese imports Zhang Zhong and his wife Li Ruofan. The leadership of FIDE Secretary Ignatius Leong has proved to the catalyst for Singapore and for the region as well. Where is this leading? It is leading to a tremendous surge of activity and an emergence of talent that will dwarf Europe in the next 20 years. Many federations have already build a cadre of International Arbiters and have run high-level tournaments. This means that the center of influence will be diffused and players no longer have to go to Europe to find elite tournaments. With India holding three World Championships crowns, China boasting powerful Olympiad squads and with rising stars in Vietnam and the Philippines, Asia is certainly rising. While the "Asian Dragons" does not refer to the economic bloc of southeast Asian nations, it connotes a fierce resurgence that will soon scorch the rest of the chess world. 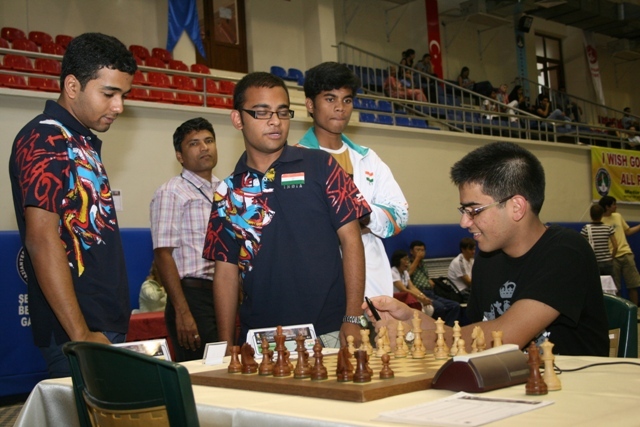 Parimarjan Negi (sitting) chats with fellow GM, Abhijeet Gupta at World Junior Championship. Gupta went on to win the title and Negi placed 2nd. Photo by Turkish Chess Federation. Chinese striking gold at 1st World Mind Sports Games. (L-R) GMs Yi Jiangchuan, Bu Xiangzhi, Li Chao, Wang Hao, Wang Yue, Ni Hua. Photo by SportPhoto.CN.